Sequel to ‘Number 12’ controversy that rocked Ghana football, attention has shifted to its Nigerian counterpart, with Super Eagles’ Coach Salisu Yusuf the latest caught in the entrapment of investigative journalist, Anas Aremeyaw Anas. 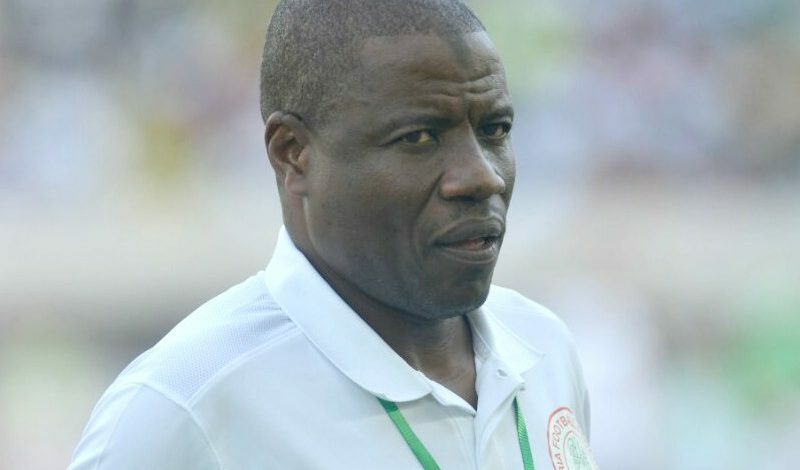 Salisu, who led the Nigeria B side to the WAFU Cup of Nations in Ghana was filmed by Anas’ Tiger Eye PI agency in September 2017 collecting cash believed to be $1000 from undecovers, posing as agents to influence players’ selection at the tournament. Also, the former Kano Pillars handler was promised 15% from the players’ contracts, should they get snapped up, with the gaffer in turn promising the agents spots for both players at the 2018 African Nations Championship in Morocco. The players were not named in the footage, as Nigeria went all the way to the final, where they were handed a 4-1 defeat by hosts Ghana – their only loss in the competition. second behind the hosts. And he was Gernot Rohr’s assistant to the recently concluded World Cup in Russia, where the Super Eagles were unable to navigate their way past Group D.
The 56-year-old was brought in Sunday Oliseh’s stead after the former Juventus’ player’s dismissal in 2016. He masterminded friendly victories over Mali and Luxembourg before the Nigeria Football Federation announced Gernot Rohr as a substantive coach, whom he became his assistant.